Dragon Quest Builders is an sandbox action role-playing video game developed and published by Square Enix for the PlayStation 4, PlayStation 3, and PlayStation Vita consoles. The game is set in Alefgard, the world of the original Dragon Quest video game, and players control the savior who is tasked with rebuilding the world after it was destroyed by the evil Dragonlord. The game features a voxel aesthetic style, with gathering and building elements similar to Minecraft and Terraria. 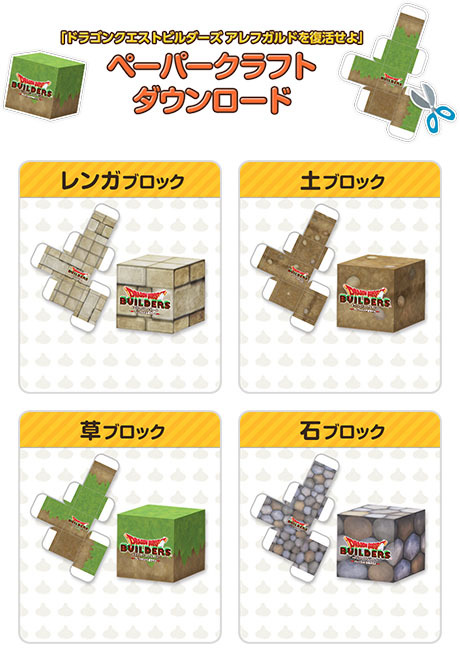 Papercraft from Dragon Quest Japan website.